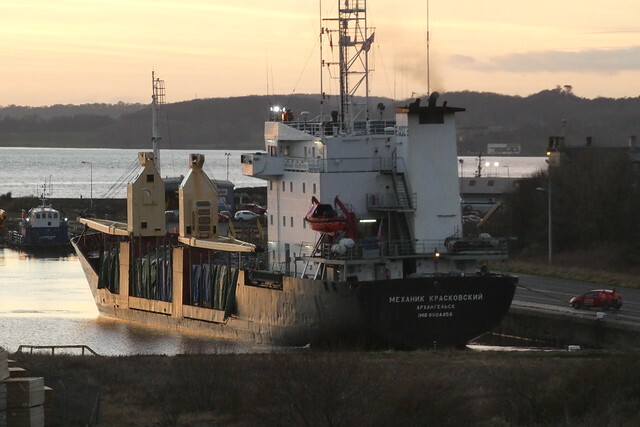 Just before the sun set MEKHANIK KRASKOVSKIY (anglicised version) drifted backwards into its berth for the next few days bringing timber from across the North Sea. This happens roughly every six weeks (not always the same ship). When the ships are being unloaded there is no access between the Station and the Beacon via the docks. 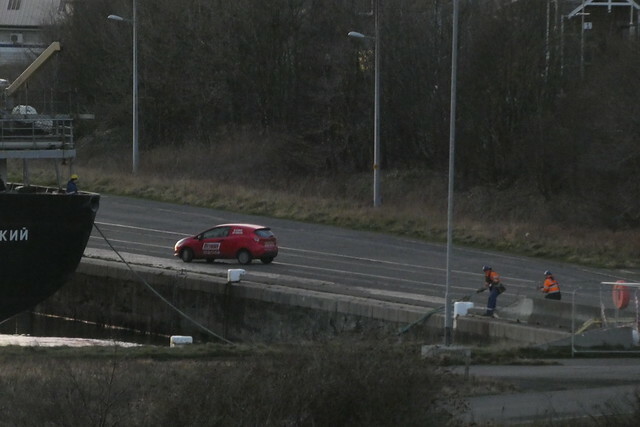 Pedestrian access is no longer maintained by Forth Ports. This entry was posted in Uncategorized by chdot. Bookmark the permalink.